The Pittsburgh Council looks forward to 2019, a year of exciting new events. If you would like to support our Nation's and local Sea Services and have fun doing so, just get in contact with our President listed on the "Board of Directors" tab above. Raises funds for the USS Pittsburgh crew and family scholarships. See "Our Upcoming Events" for information flyer. 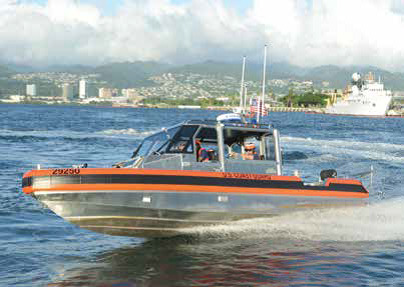 We are pleased to announce that the USCG Marine Safety Unit Pittsburgh will brief our Council and guests regarding their local mission and service to our community. The event will be held at the USCG Pittsburgh offices beginning at 6 p.m. on Wednesday, May 22. A 30 minute presentation is planned. 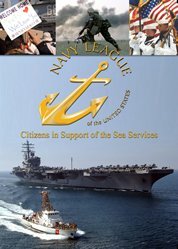 Navy League Pittsburgh Council members and guests are welcome. RSVP required. Light refreshments will be served. See the linked flyer for details and RSVP instructions if planning to attend. Annual golf outing to benefit the children's Christmas party for the crew of the USS Pittsburgh. Click on this link for the registration flyer. Please see the information and application on the USS Pittsburgh Tab. Applications must be submitted by April 30. 1st Quarter 2019 Port of Pittsburgh Newsletter, the official publication of the Navy League of the United States, Pittsburgh Council, is posted. See Ports of Pittsburgh tab above. Check out the stories about the USS Pittsburgh CO and crew visit and reception, the Penn Hill HS NJROTC, annual service awards, the upcoming Kentucky Derby party and more. Council members attended the Change of Command of the USS Pittsburgh on January 12, 2018. CDR Neil Colston, the outgoing commanding officer, thanked the Council for its support, including visits to the city by the crew, hosting a Christmas party for the crew’s children and providing a scholarship program. The Council welcomed CDR Jason Deichler, a son of Pittsburgh, as the new commanding officer; and, of course, celebrated with a Pittsburgh traditional cookie table.
. Here is a link to scholarship opportunities for military/veterans/dependents. Spouses may also be eligible for tuition assistance for training, certifications, etc.